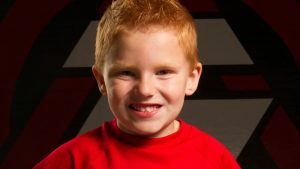 We instill self-confidence, respect, and self-discipline in kids martial arts in Keller, TX. 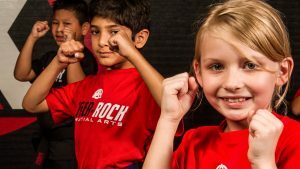 Tiger-Rock’s kids martial arts class helps keeps kids and teens active and healthy. Not only will the lessons they learn benefit them on the mat, but also in life. Tiger-Rock students learn the value of good citizenship and honorable leadership. Our lessons instill self-discipline, self-confidence, and respect for authority. We have various character-building activities that will help your child grow on and off the mat. 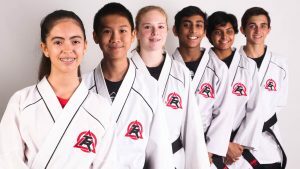 Tiger-Rock kids martial arts and teen martial arts classes feature striking drills, kicking drills, blocking drills, form exercises, as well as core strengthening exercises. We also prove essential life skills education, anti-bullying education, and self-defense training. These drills and exercises help your child become more fit, focused, and confident. Check out our kids martial arts programs! The Junior Program is for students 6 to 11 years old. This program focuses on self-esteem, self-confidence, and self-control. We help channel positive energy with our drills and exercises. Typically, these drills include speed and agility drills, martial arts exercises, and kicking, sparring, and striking drills. However, junior students also learn real-world self-defense and participate in anti-bullying education. These classes run 40 to 45 minutes. The early adolescent years form the foundation of the rest of a child’s life. Because of this, we offer a specific curriculum to focus on positive influence, strong character, and leadership. This curriculum, the Teen (Youth) Program, is for students 12 to 15-year-old. In our rewarding environment, students learn the benefits of functional fitness training and responsible citizenship. Classes for this group feature martial arts exercises; kicking, striking, and sparring drills; and speed and agility training. These lessons last 40 to 45 minutes. 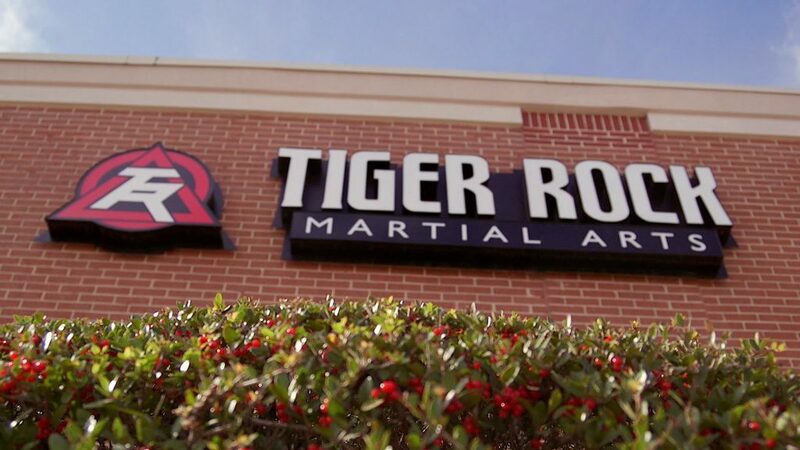 Tiger-Rock’s kid’s martial arts and teen martial arts lessons are held in the afternoons as the perfect after-school activity. We offer Tiger-Cub classes four times a week on Tuesdays, Thursdays, and Saturdays. Junior classes are held in the late afternoon and early evenings throughout the week. Teen classes take place in late afternoon, early evening, and mid-evening. At Tiger-Rock, kids have unlimited attendance privileges and multiple training opportunities per week. We generally recommend students attend classes twice a week.